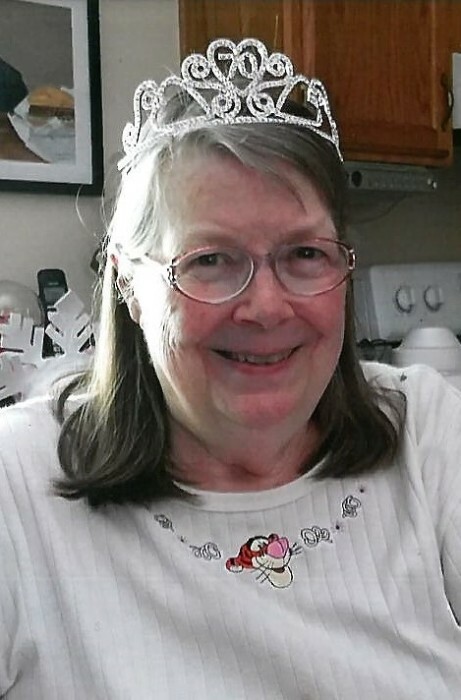 Kathy Clark, age 70, left this world after a very courageous battle with breast cancer and its complications. Throughout, she remained positive, upbeat and never complained and chose to go when faced with unbeatable obstacles that provided no quality to life. Kathy had a simple life that she loved dearly and was a dedicated wife and mother. Her family and friends meant everything to her. She had a great love for nature, animals and enjoyed feeding the deer, turkeys, bear, squirrels and chipmunks. In the fall she would treasure cozying in and enjoying the colors and then would also appreciate the beauty of snow and winter. Kathy held deep religious beliefs and also believed in the goodness and self worth of all. She adored Disney characters and traveled to Disney World over thirty times. She left our lives to early but left them so much enriched for having been touched by her. Kathy is survived by her husband, John Clark; two sons, Ernie (Tammy) LeCaire of Madison, WI, Brian (Sharon) LeCaire of Milwaukee, WI; three daughters, Kris (Dan) Racette of Menasha, WI, Tricia LeCaire of Oshkosh, WI, Jody (Tim) Hencke of Fon Du Lac, WI; brother, Phil (Pat) Meyer; grandchildren, Reece, Nolan, Grace, Natalie, Rachel, Thatcher and Kasia; close friends, Jackie (Bob) and Trish; two special cats, Weegie and Princess; as well as all of her Build a Bears, all of whom held a special story about people, family, friends as well as life events. She was preceded in death by her parents, Bernice and Ernest Meyer and uncle, Al Meyer. Her family extends gratitude to all who had any role in caring for her at Hayward Clinic and Hospital as well as St. Mary’s in Duluth. Paticular thanks to Dr. Lalich, Dr. Turner, Dr. Perttu and Dr. Streitz and their staffs. Very special thanks to the nursing staff of the hospital and infusion department and the CNA’s who cared for her, including Alexa and Sarah. Noting her simplicity and honoring her wishes there will be no immediate ceremony and her family and friends will gather at a later date to celebrate her life. Please direct any donations to the Northwoods Humane Society or American Cancer Society in her name.